WEST LAFAYETTE, Ind. — After a rough 10-day stretch, sixth-ranked Purdue rediscovered the joy of a well-played game. Carsen Edwards and Dakota Mathias led the way in a second-half spurt, and Purdue held on to edge Penn State, 76-73, on Sunday night. Ryan Cline’s 3-pointer with 5:31 remaining gave Purdue a 61-58 lead, and the Boilermakers never trailed the rest of the way. It wasn’t easy for a Purdue team in search of the same offensive flair that made the Boilermakers unbeatable during a program-record 19-game winning streak that stretched from November until a 64-63 loss to Ohio State on Feb. 7. It became more difficult without starting forward Vincent Edwards, one of the team’s most consistent players. 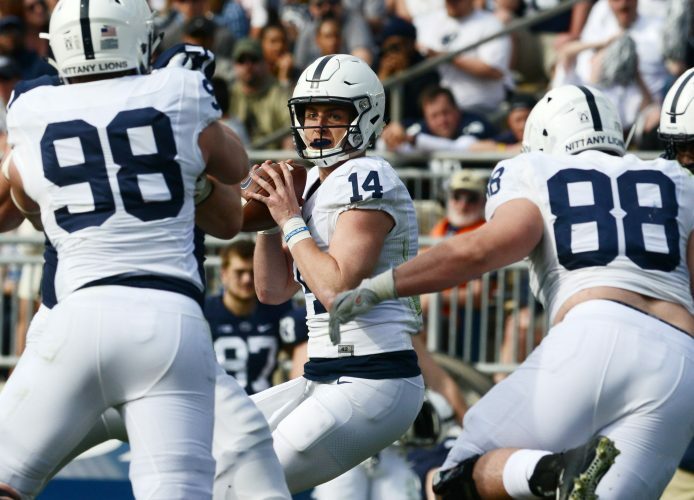 The Nittany Lions committed 15 turnovers and forced Purdue to just nine. Penn State, the Big Ten’s leader in steals, had five. Penn State: The Nittany Lions host Michigan on Wednesday. Purdue: The Boilermakers are at Illinois on Thursday.